Who speaks up for the community on the local NHS? Elected Councillors on Local Authority Overview and Scrutiny Committees. 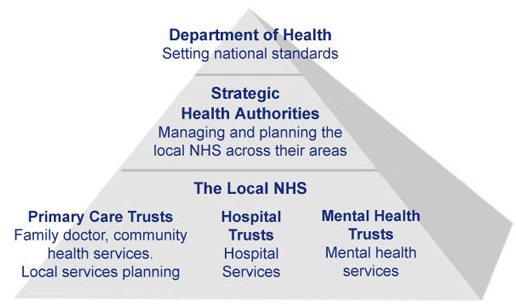 To get information from the NHS and refer closures or changes to the Secretary of State in the community’s interest. Who speaks up for patients in the local NHS? Each local area has a Local Involvement Networks (LINks) hosted by local organisations with funding from the local authority, working to seek views and influence health and social care. LINks are made up of individuals and organisations. To refer concerns to local authority scrutiny committees as. The receive a response from their recommendations. How can you contact LINks? Local authorities have been given public money to set up a contract with an organisation who will set up the LINk. Ring your local authority community team to find out how to contact the LINk. What if you need something sorting out for you in the NHS? Each local NHS organisation has a Patient Advice and Liaison Service (PALS) to trouble shoot problems patients are having in the NHS. At the NHS Trust, Mental Health Trust or Primary Care Trust where you have the problem, listed in the telephone directory, or through http://www.nhs.uk. If you want to go on to make a formal complaint, there is an Independent Complaints Advocacy Service (ICAS) to help.